When it comes to technological inventions and scientific breakthroughs that have truly changed the world for the better, nothing can come quite close to the integrated circuit – or what is more commonly known as the microchip. Not only is it responsible for how technology has advanced to what it is today, but it’s also the reason why most of the technology that we use every day can actually fit in our hands, pockets, and suitcases – rather than taking up entire rooms or sets of luggage to simply exist. The integrated circuit is ubiquitous with technology. It can be found from the simplest and most uncomplicated gadget designed for one specific purpose, to machines and various components like high-precision linear stages used in many industries nowadays to help make work easier, faster, safer, and more accurate. To truly appreciate what that means, though, let’s look a little deeper at just what the integrated circuit actually is, what it’s used for, and why it deserves to be called the backbone of modern electronics. The integrated circuit, in a nutshell, is a tiny silicon chip upon which thousands or even millions of tiny resistors, capacitors, and transistors are installed. This means that electric circuits, which used to be made of discrete electrical components that were large, clunky, and expensive, could now be made more cheaply while also being smaller, faster, and more powerful than their original counterparts. Since the circuits are now smaller, this means that electricity doesn’t need to travel long distances to actually work. In turn, this allowed technology to gradually become smaller with every iteration. This not only made gadgets and electronics much easier to use but also cheaper to produce by manufacturers and thus become more affordable to the masses. The smaller circuit size also allowed electricity to carry information, which brought about the advancements in computer and digital technology that we know today. How Did the Integrated Circuit Come to Be? Before the invention of electrical components such as transistors, vacuum tubes were used in the creation of circuits. The biggest drawback of using vacuum tubes was their size, and as such any circuit made with vacuum tubes were just simply too large to be practical. When transistors finally arrived in the scene, they helped shrink down circuits some although the chips they were installed on were still too bulky. It was posited by Intel co-founder Gordon Moore that the number of electronic components on a chip would increase exponentially as technology became ever more advanced. For every added function that a circuit would handle, the components needed would double and thus the chip would increase in size. Therefore, any appliance or technology that would require these complex circuitry would also be scaled up in size. This was exemplified the most with the invention of the computer, with its earliest working models easily big enough to fill an entire room. This made them not only cumbersome to own but prohibitively expensive as well. If an alternative way of creating circuits while also making them smaller was not found soon enough, any succeeding model of the computer would end up becoming exponentially bigger in size while also ballooning in price. Thanks to Jack Kilby at Texas Instruments, this alternative method was found and the first integrated circuit was invented in 1958. This would be refined six months later by Robert Noyce, creating an integrated circuit with interconnections on a single silicon chip. This would become the basis of the small but powerful microchip as we know it today, and it would go on to become the main component of many technologies – from computers and appliances to vehicles and aircraft. What are the Advantages of and Integrated Circuit? It’s smaller. 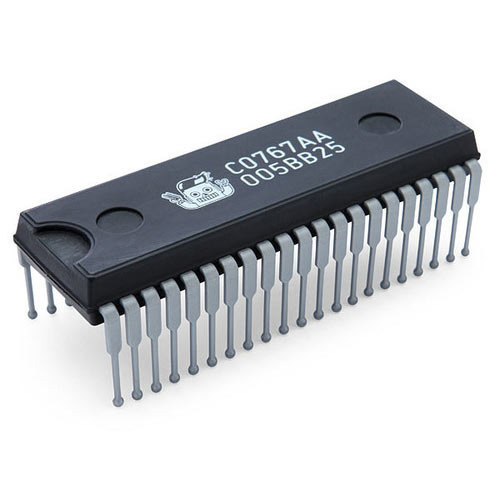 The integrated circuit is many leagues smaller than a discrete circuit. This allows it to be implemented to devices and technologies of all shapes and sizes. It’s lighter. As the integrated circuit has all the electrical components it needs to work despite its tiny size, the finished products end up being lighter or at least with a more manageable weight. It’s cheaper. Integrated circuits are cheaper to manufacture especially when mass-produced. It’s more reliable. There are no soldered connections in an integrated circuit, which reduces the chances of it failing. The fact that it has few interconnections and has very little risk of overheating due to its small size also decreases the failure risk. It consumes lower energy. Its small size makes it energy efficient. It’s easy to replace. Should an integrated circuit fail for any reason, it can easily be replaced due to its affordability and ubiquity. Where are Integrated Circuits currently used and/or applied? Surgical machinery and medical devices and implants. Had the integrated circuit not been invented, much of the technology and electronics that we rely upon in our daily lives – not just for convenience or entertainment, but actual survival– would most likely not have existed. The integrated circuit’smoniker“backbone of modern electronics” is surely more than deserved.